Nawabi Swag: Here’s the latest and cutest pic of Taimur Ali Khan! Nawabi Swag: This latest photo is by far the cutest pic of Taimur Ali Khan! 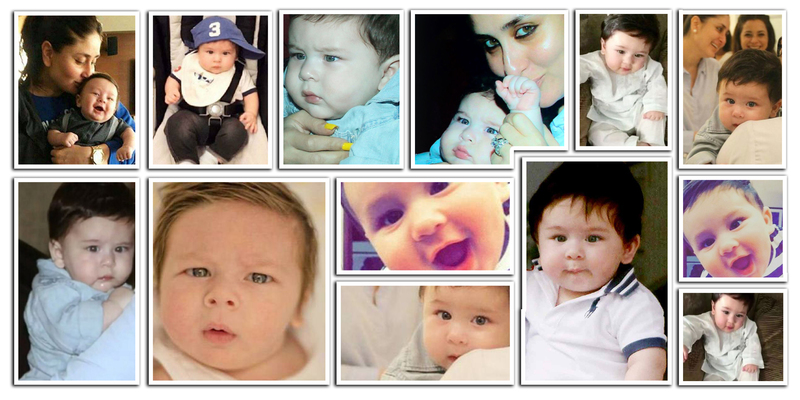 When Kareena Kapoor says, “Taimur is the most handsome son,” we readily agree with her. All hail to his Kapoor-Pataudi genes that Taimur has taken the entire nation by storm. Just a little more than 6 months, Kareena and Saif’s little munchkin is already the most popular star kid of his generation. He became a sensation on the very day he took birth. He tops trending charts in India each time a picture of him surfaces Internet and sends us all into a meltdown. Just a few days back, we couldn’t stop gushing over Taimur’s adorable photographs with his nanny and here we bring to you yet another super-cute picture of him which is sure to make you go weak in knees. In this latest pic, Taimur, like a true Nawab is donning a crisp white kurta, resting his one arm on the sofa and other one on his knee. Have a look! Recently, the little cherub was spotted at his grandmom Babita’s residence along with his nanny where he was sporting a white collared tshirt and blue striped trousers with Ralph Lauren shoes. Even before that, Taimur was captured having a gala time on a swing at his residence.